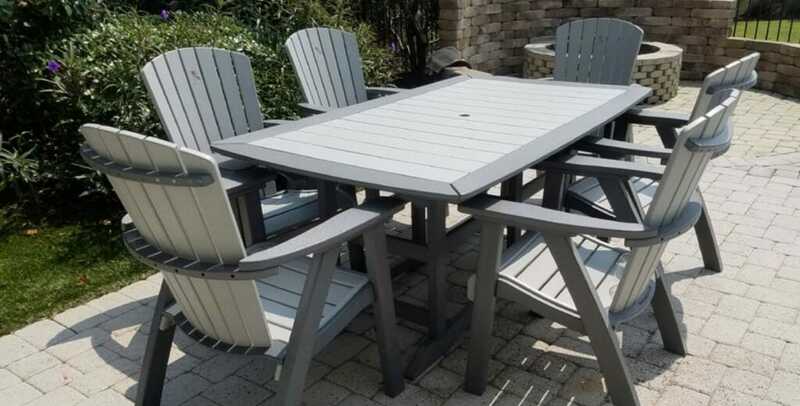 Quality Poly lumber outdoor furniture is getting more fans every year because it can weather everything from the blistering sun to brutal snow, ice and hail. 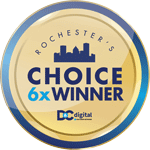 A perfect choice for Upstate New Yorkers. 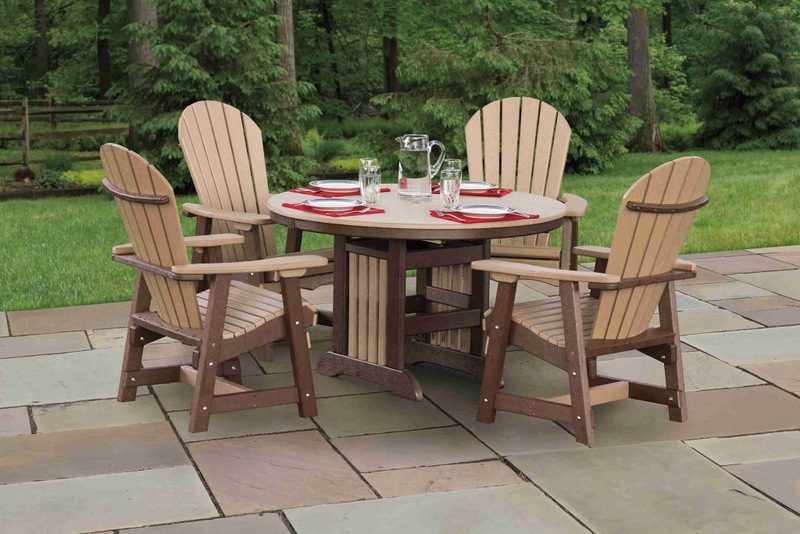 There are a few good reasons to get excited about high-end outdoor poly lumber furniture hand-crafted by the Amish. 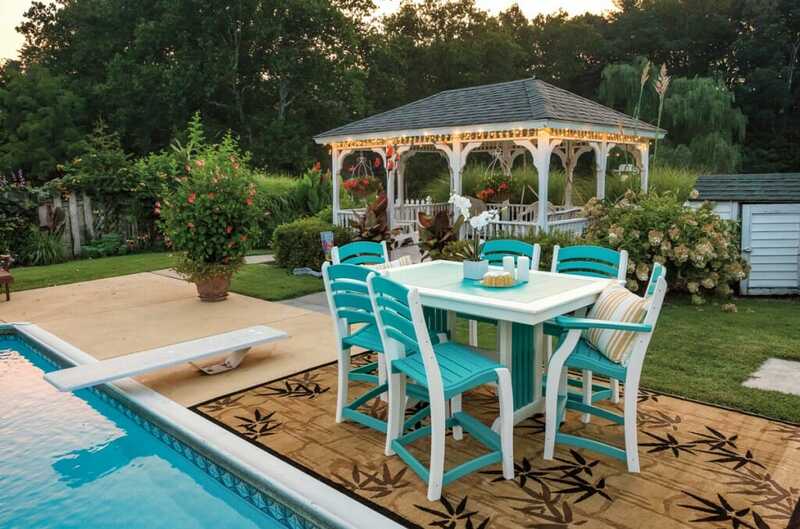 You can create a different mood for your backyard, lawn or patio by mixing and matching colors for a two-tone effect. 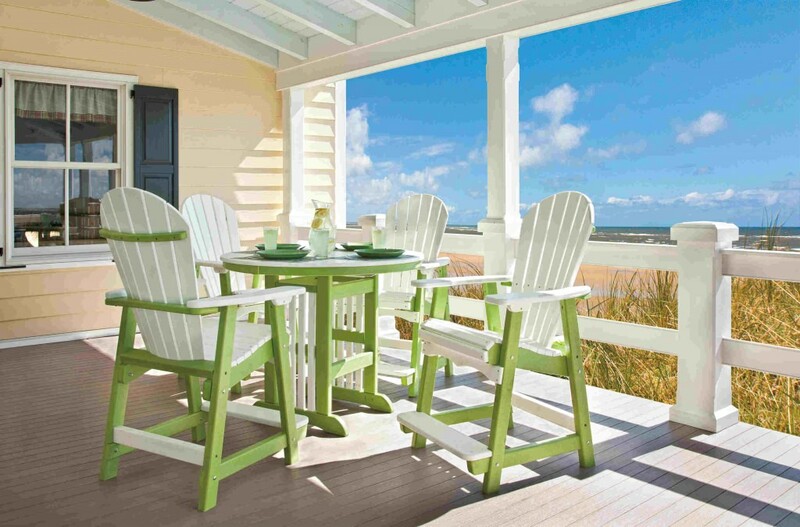 For example you can use lime green, teal green, cool blues or powder blue with brilliant white for a “fresh look”. 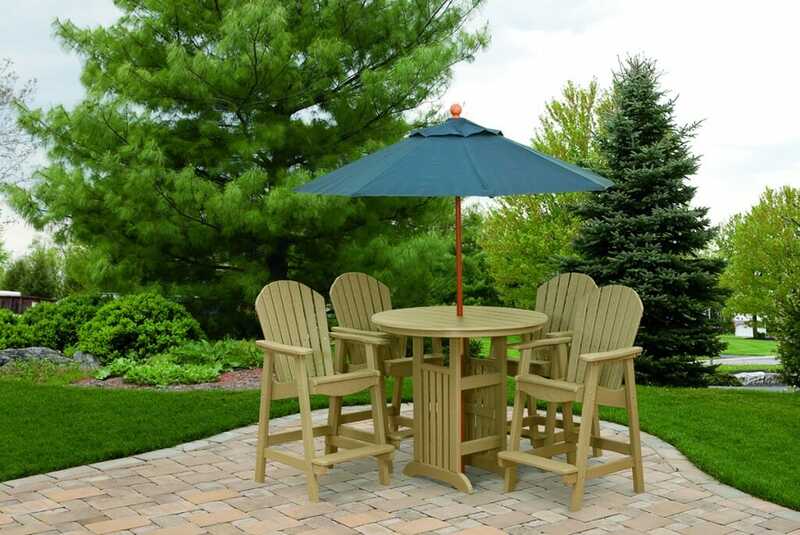 Or mix rich blues, greens, yellow, reds and orange to add vibrancy and excitement… Or use vivid deep colors such as burgundy, cedar, forest green to enhance your back yard wooded area. 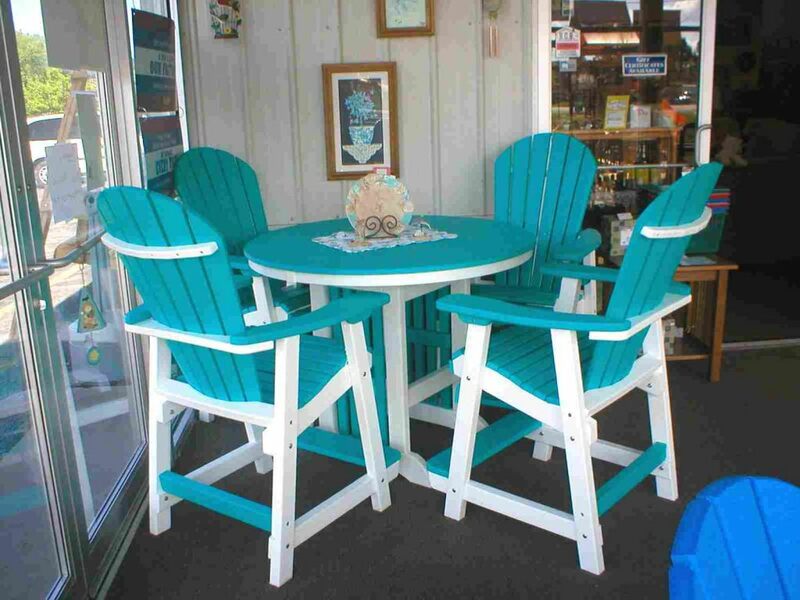 Outdoor Poly Lumber Furniture – bright, beautiful, durable. Lime green and white combo for a “Fresh Look”. 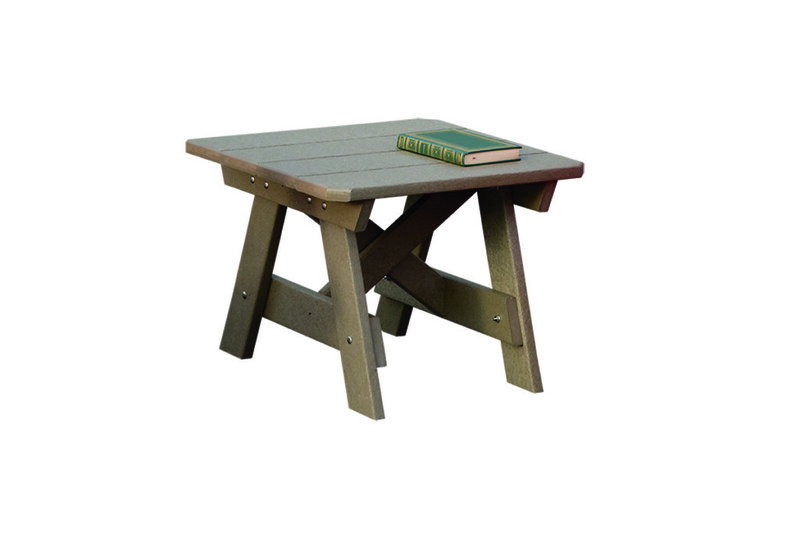 You can fold your poly lumber furniture for convenient and easy storage. 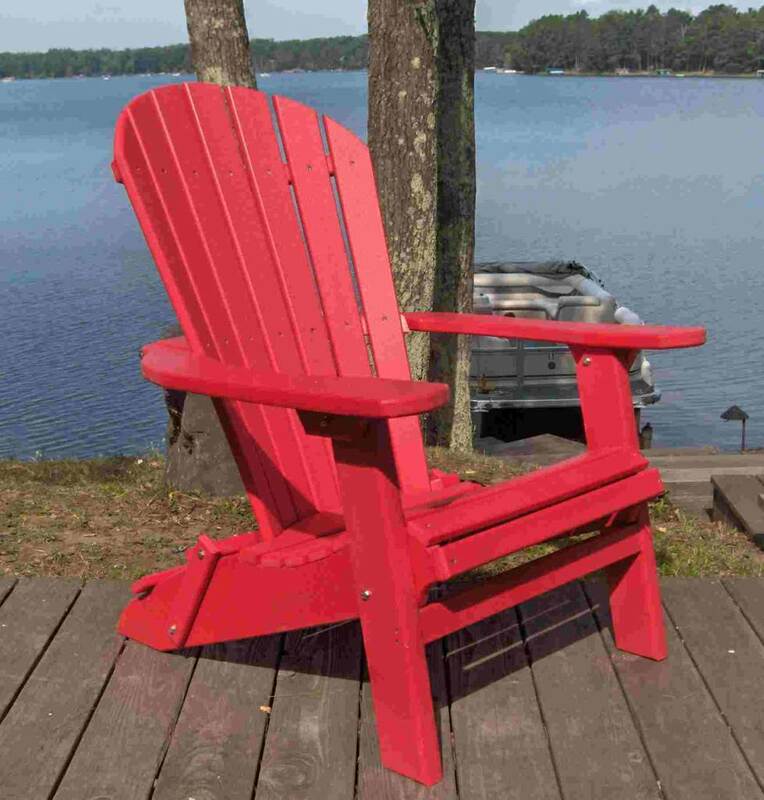 The biggest problem most people have with the standard Adirondack chairs is the inability to fold them and store them easily. That is not a concern with the “new and improved” poly furniture! It comes with UV inhibitors that resist fading, which means it will stay bright and colorful for years to come and you don’t have to paint it! 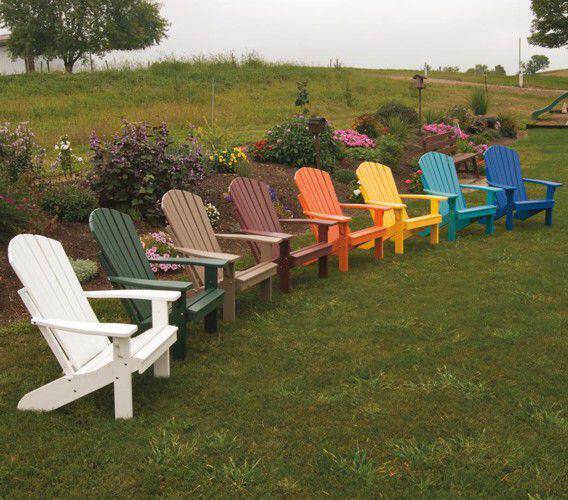 Did you know that you can purchase any poly Adirondack chair any color of the rainbow? Any combination of colors? Folding Too! 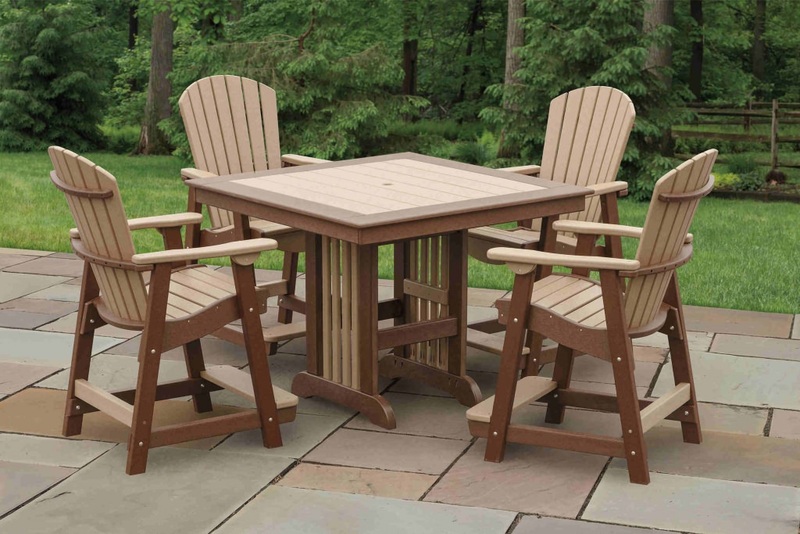 Don’t let this year be the year that you keep spending your money on inexpensive boring white plastic chairs that won’t clean and crack year after year. They aren’t sturdy, and our winds can easily tip them or blow them away! 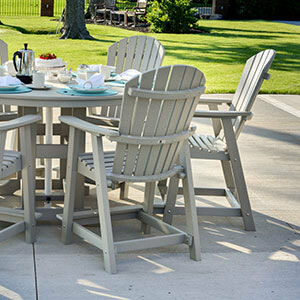 Our new collection of outdoor poly furniture includes dining sets that now have swivel chairs. 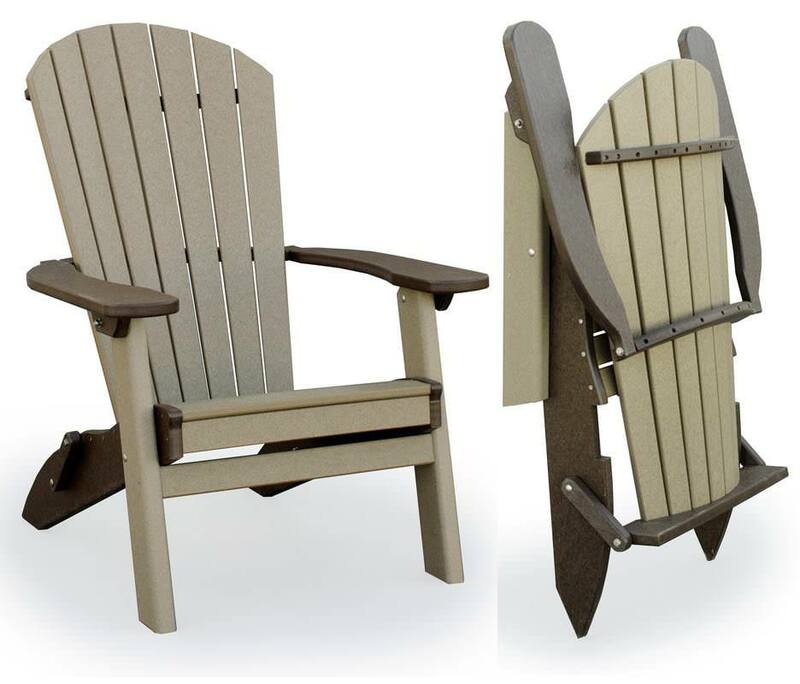 Come to the store and try the comfort of a rocker which now comes in two different styles: classic and bent poly rockers. 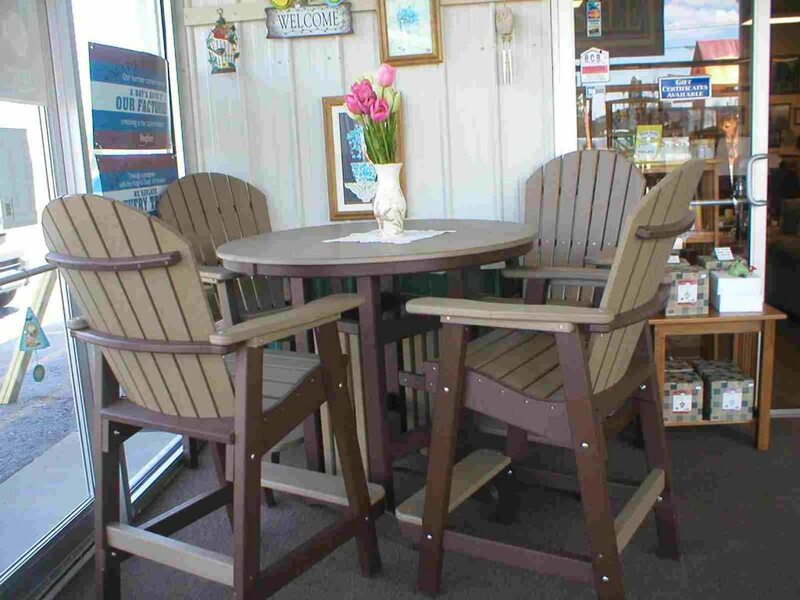 For smaller spaces use a side table or cafe’ table next to a baloney chair. 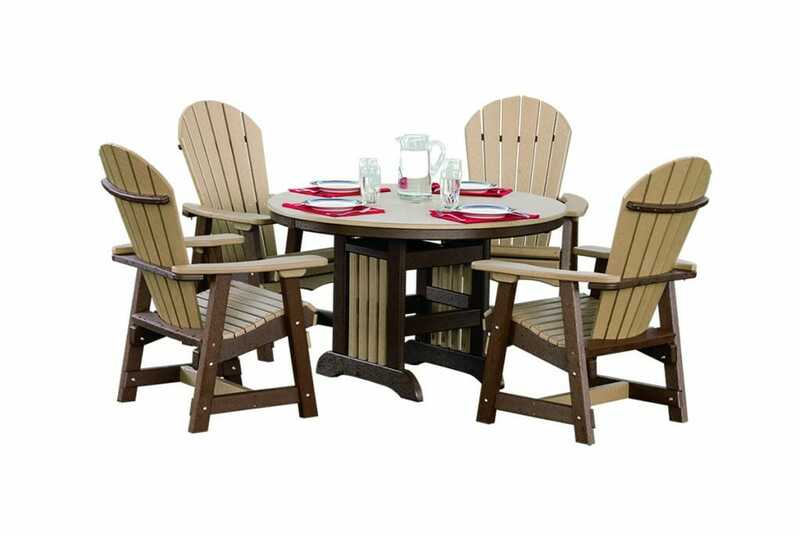 We offer different height dining chairs and tables. 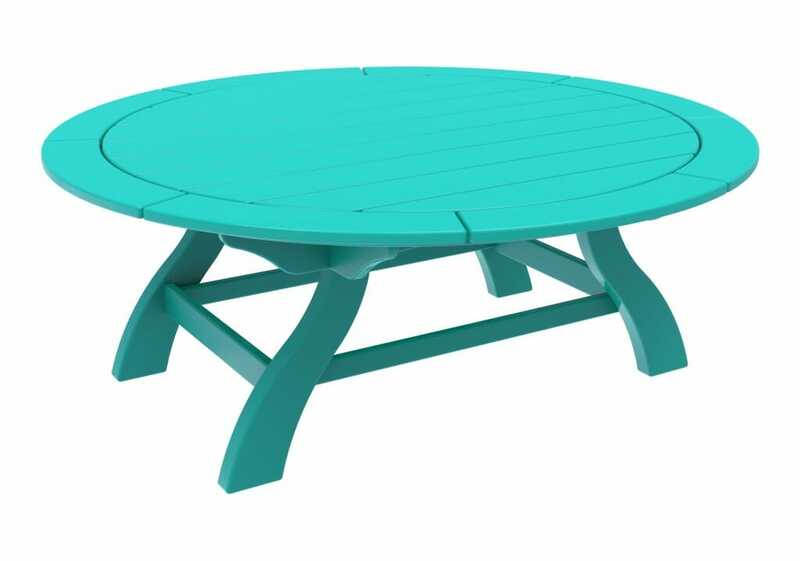 Choose square, rectangular or round dinning tables to accommodate your personal space. With custom design and brilliant colors the possibilities are endless! 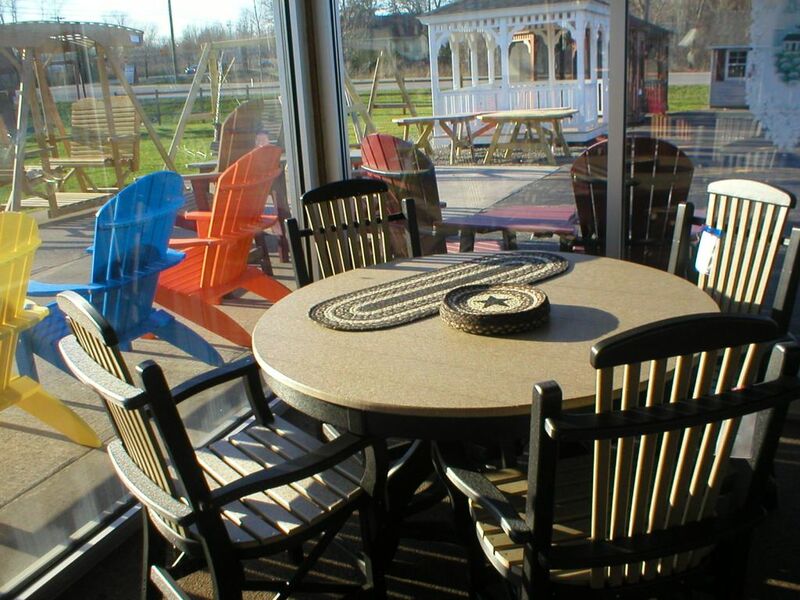 Explore Our Outdoor Furniture Gallery and Come to the Store to Select Yours! 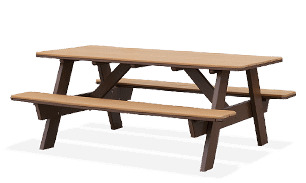 Poly picnic table with attached seats over all length 71"
Poly picnic table with attached benches over all length 95"
45"x60"x36.5"H Contempo Rectangle Balcony Table. 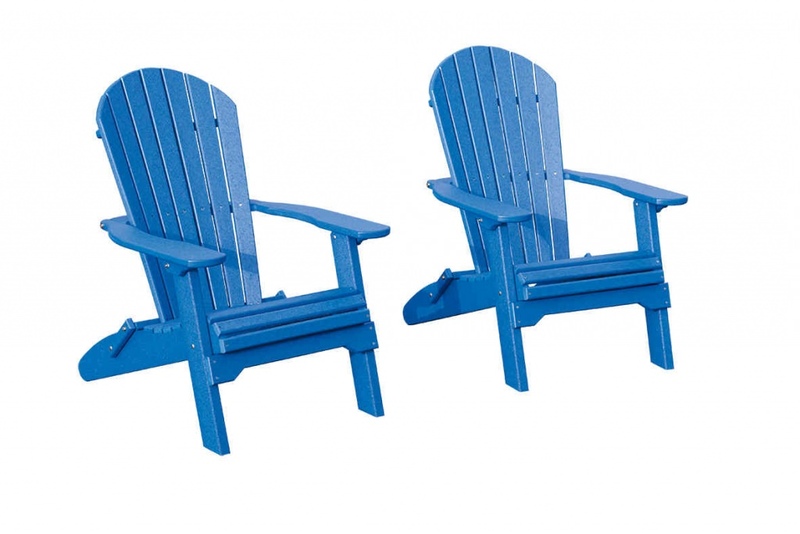 Balcony Chairs with arms and without arms. 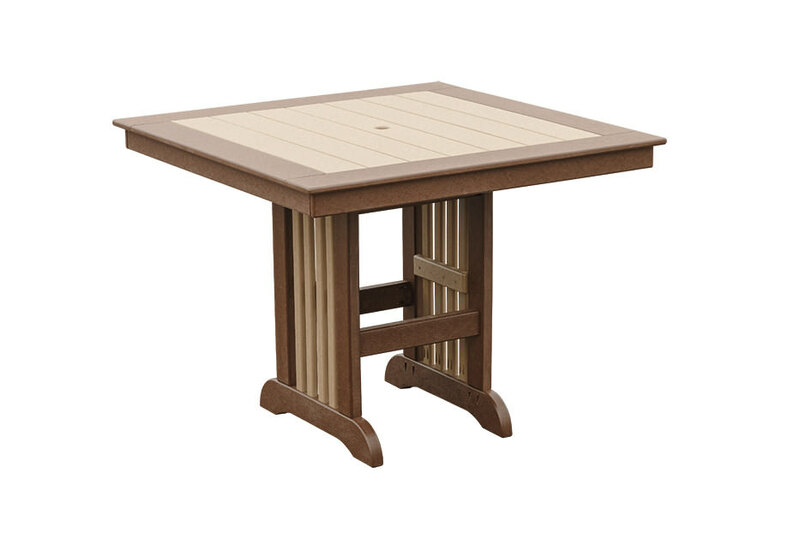 Our tables come with a hole to hold a standard 1.5” diameter patio umbrella rod, and a plug(s) for when the umbrella is not in use. 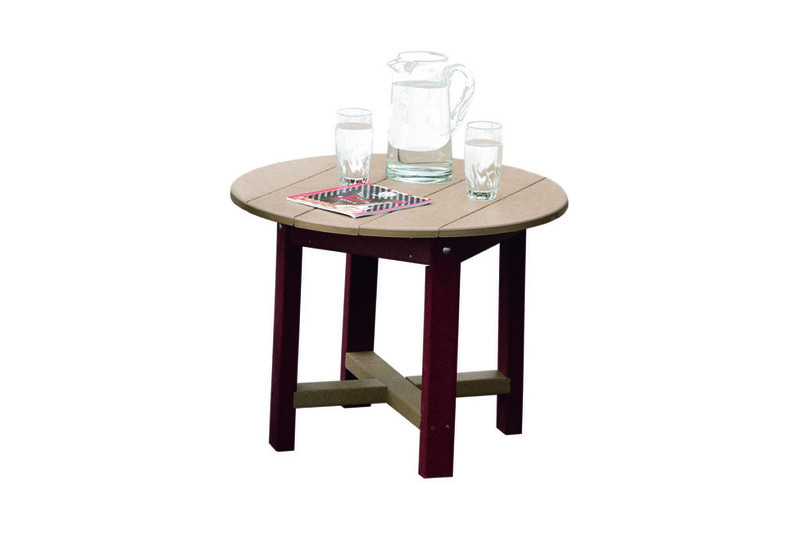 28"x 21" High side table colors shown are burgundy and weather wood. In poly lumber. 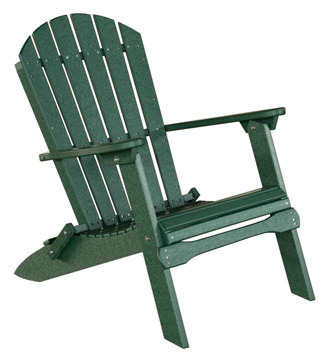 Outdoor poly classic rocker. 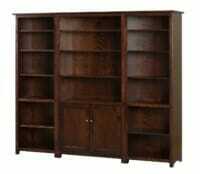 Frame colors: black, brown, burgundy, white and weatherwood. 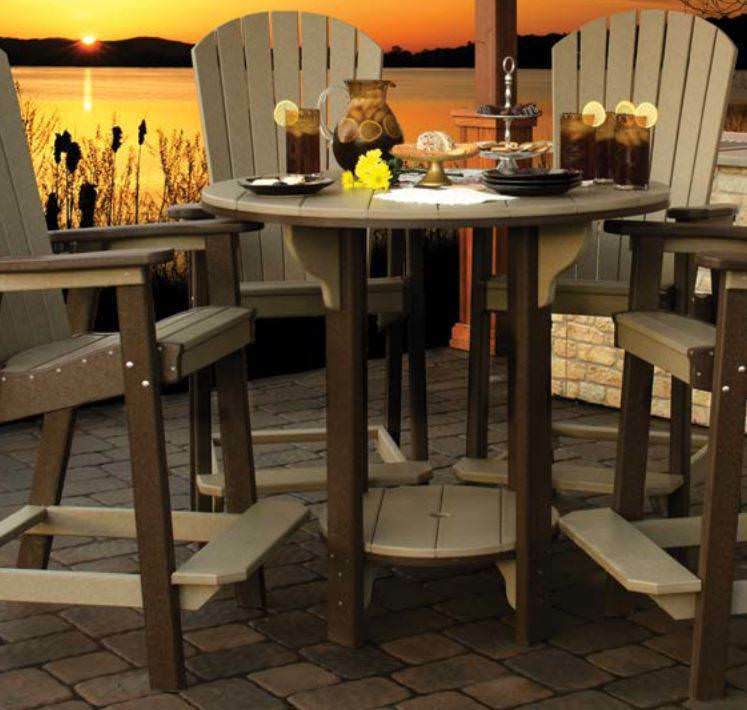 Monarch grand bar with Monarch bar stools. 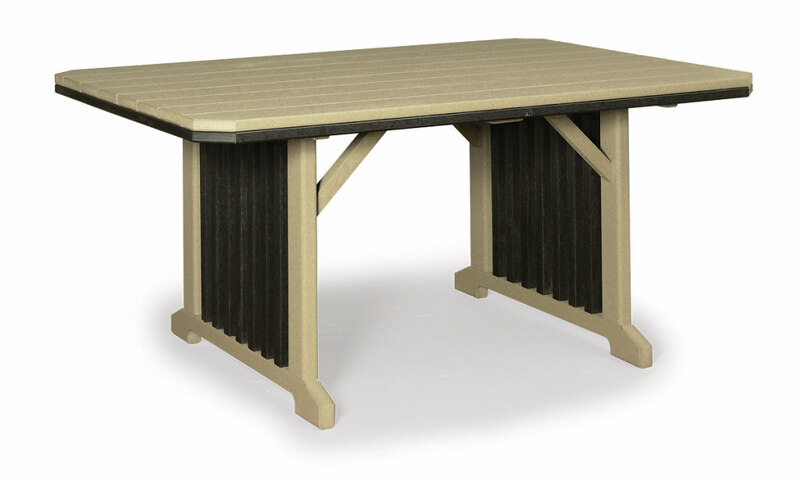 Made with poly lumber. This poly rollback settee has a table in between two rollback chairs. 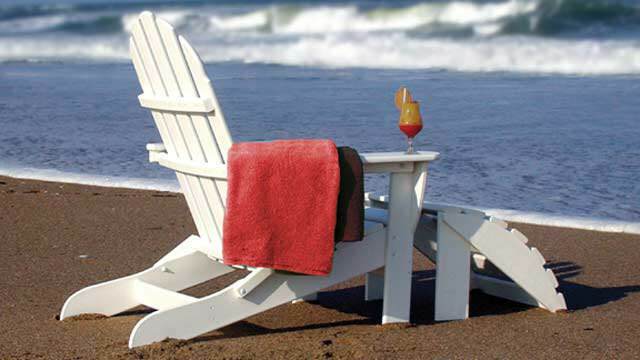 The chairs have lumbar back for more comfort. 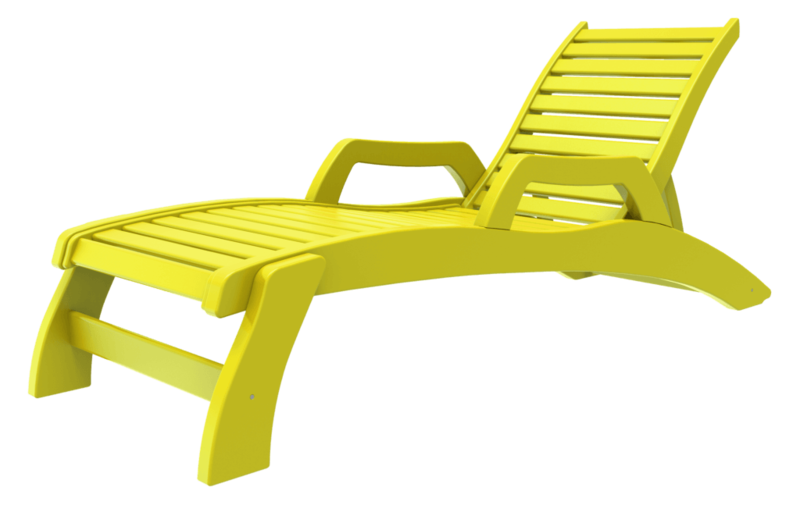 Lime green poly beach chair. Folding and non-folding. Armless chaise lounge made from poly lumber. 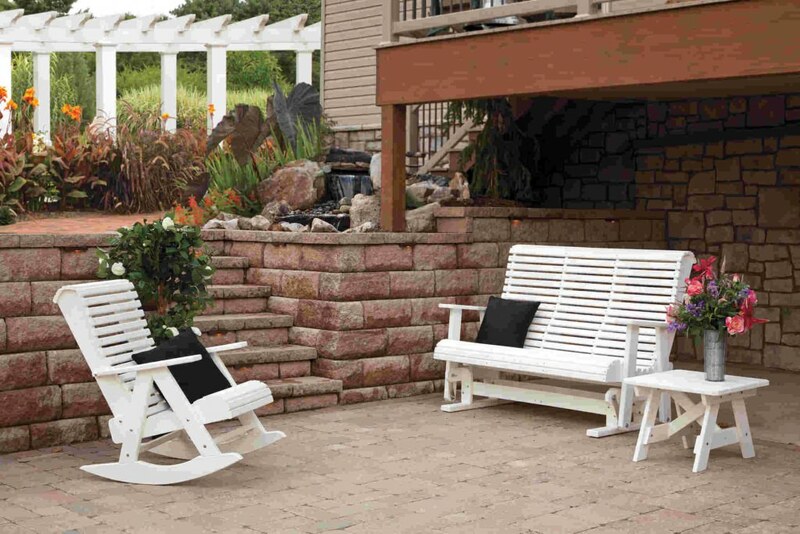 Splendor chaise lounge from Kings Casual Furniture. 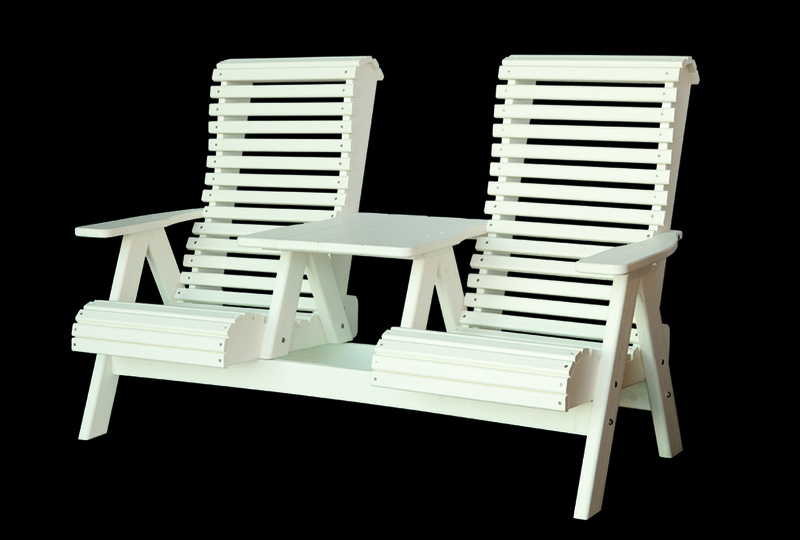 This poly furniture has arms and easy folding. 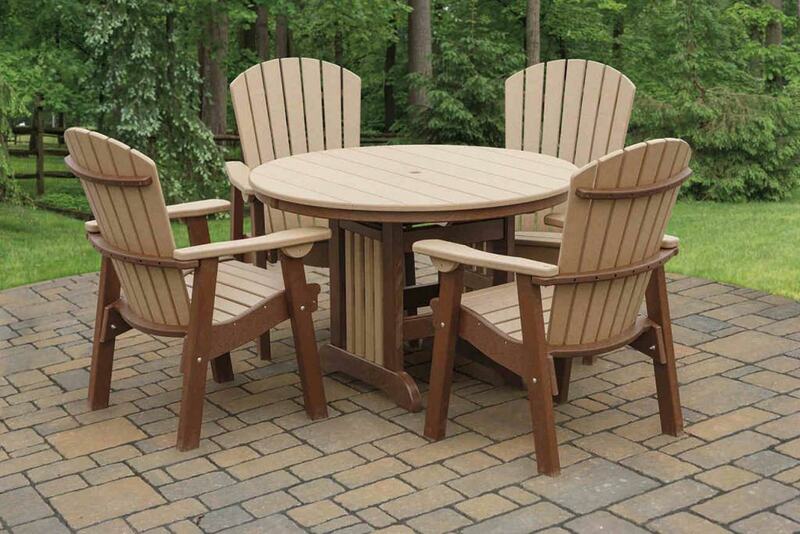 44" Round poly dinning table with supreme dining chairs. Brown and weatherwood colors. 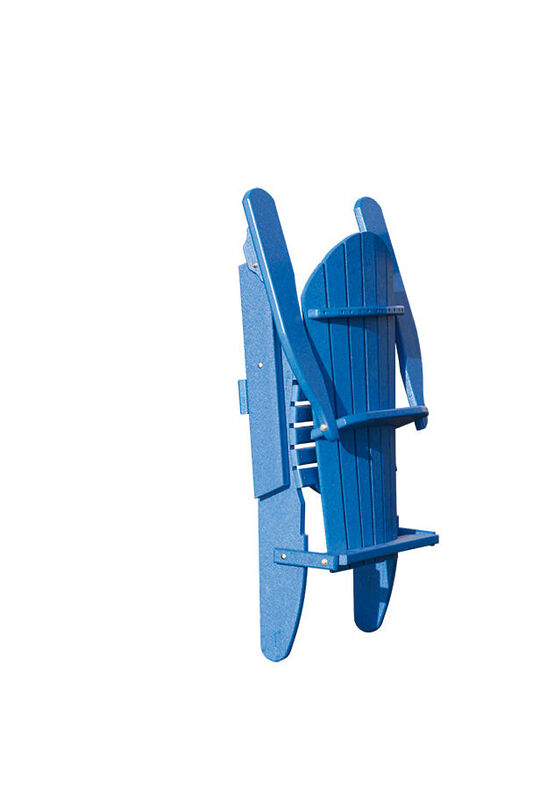 Amish Made Poly Rollback Swing. 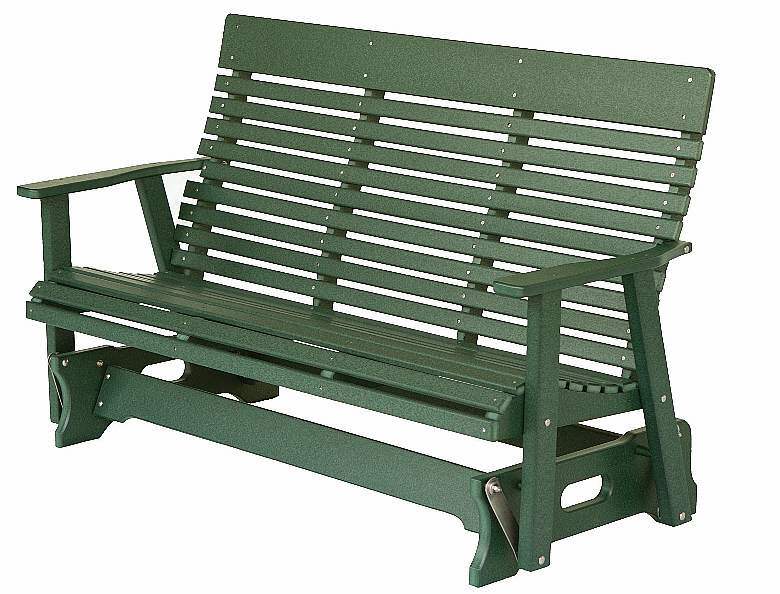 Available in solid colors or order a two-tone combination. 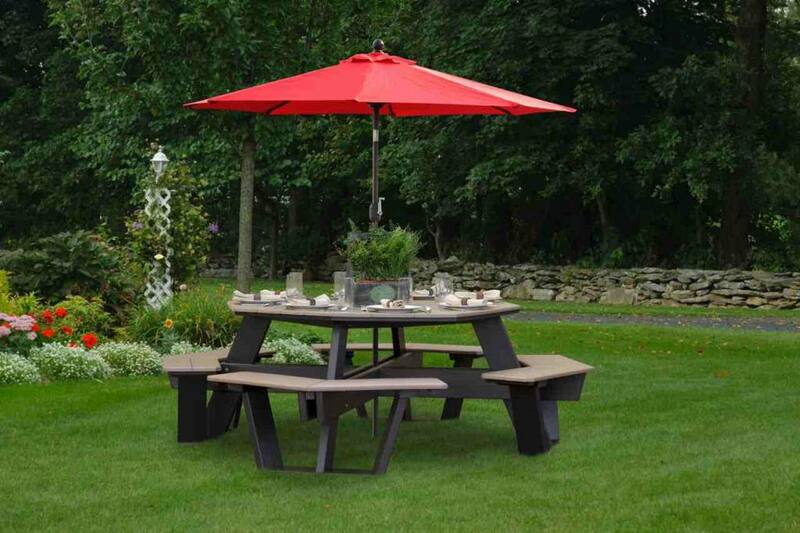 Amish made poly outdoor dining set. 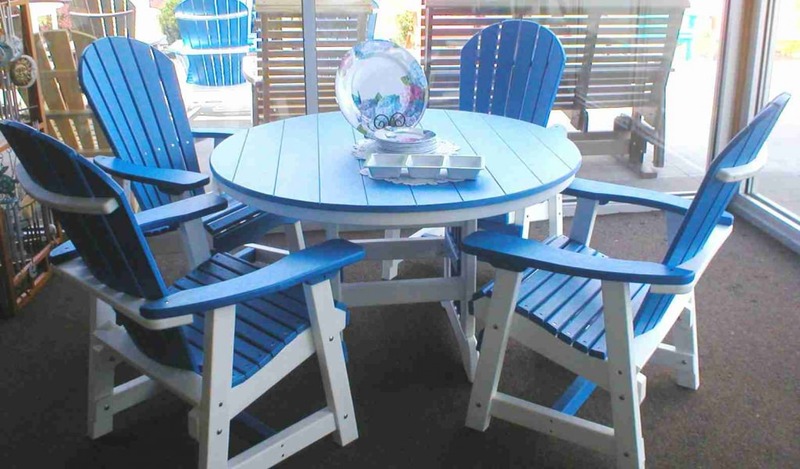 Shown is our two-tone blue and white 48" round patio table with deck chairs. 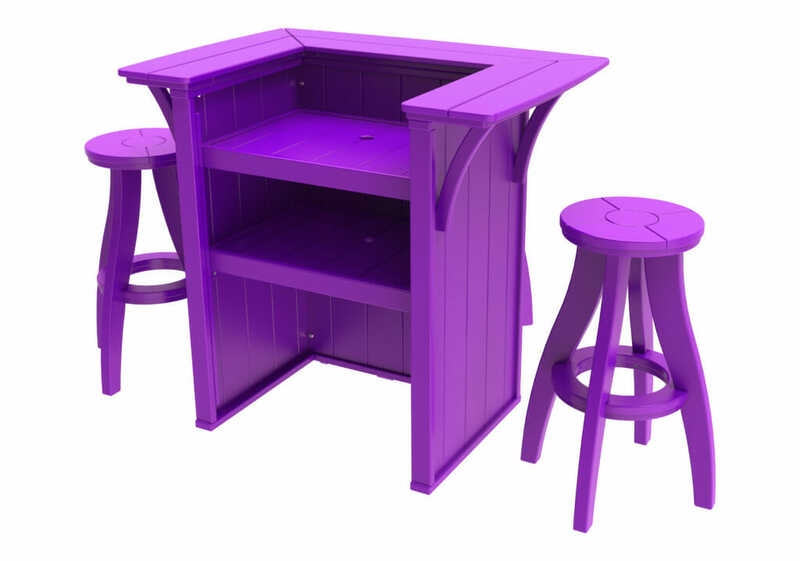 Amish made poly furniture. 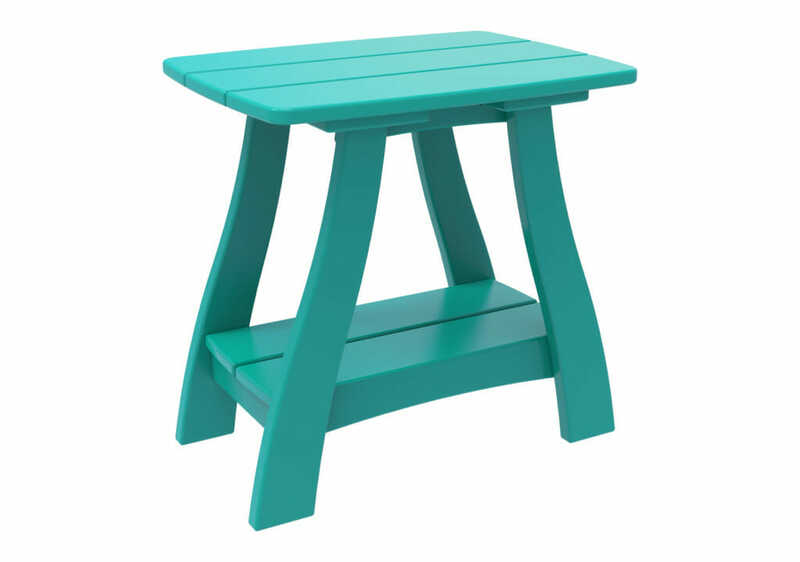 Introducing new teal and white two-tone Amish poly furniture for your outdoor living spaces. 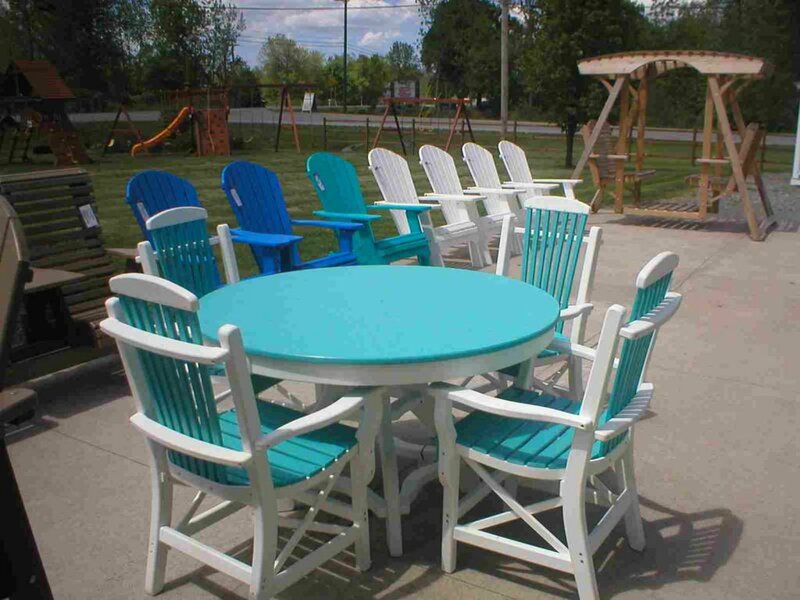 Amish made 48" round poly table shown with four deck chairs. 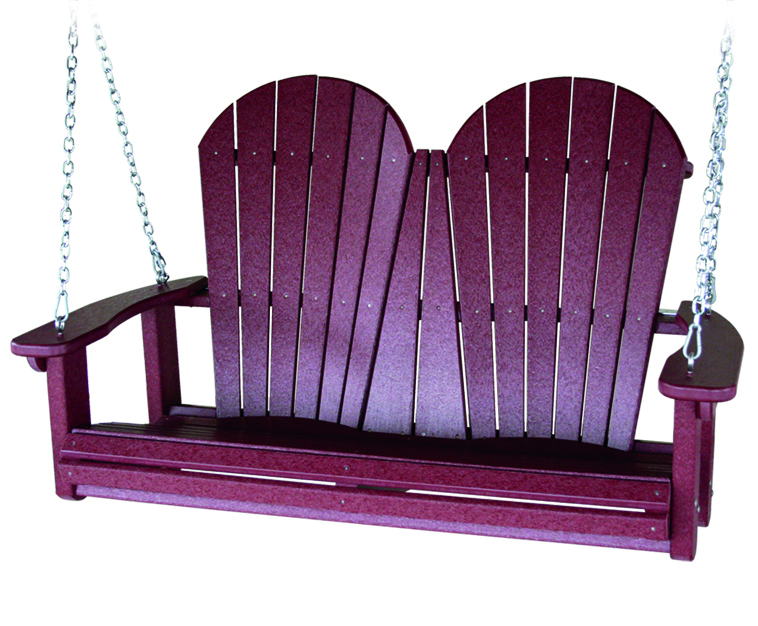 Can be ordered two-tone or solid colors. 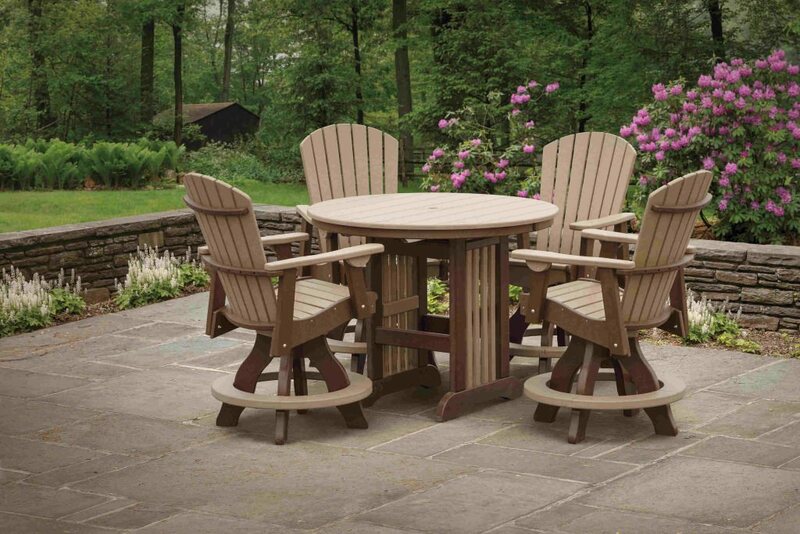 Amish crafted outdoor poly dining set 48" round table with four arm chairs. 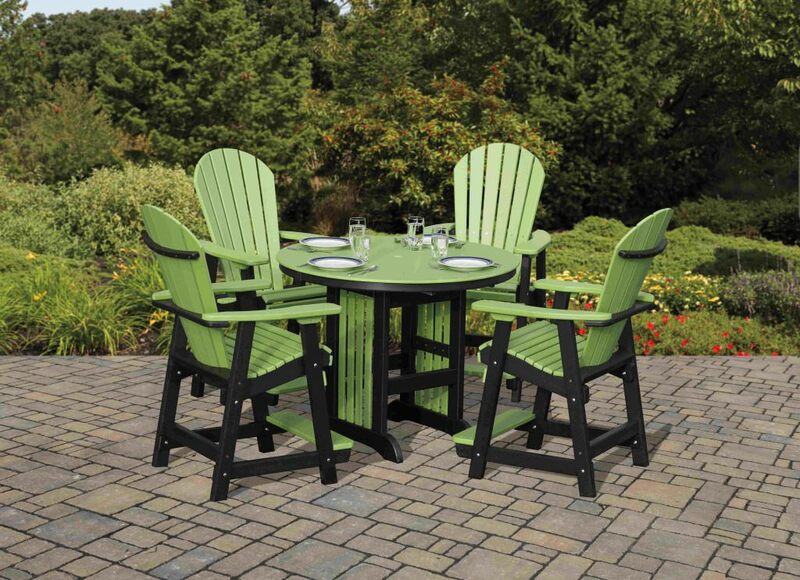 Amish Hand-crafted Poly Dining Set for great outdoor spaces. 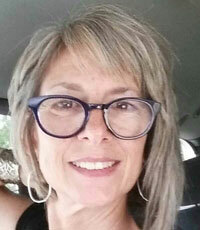 Maintenance-free and comfortable! 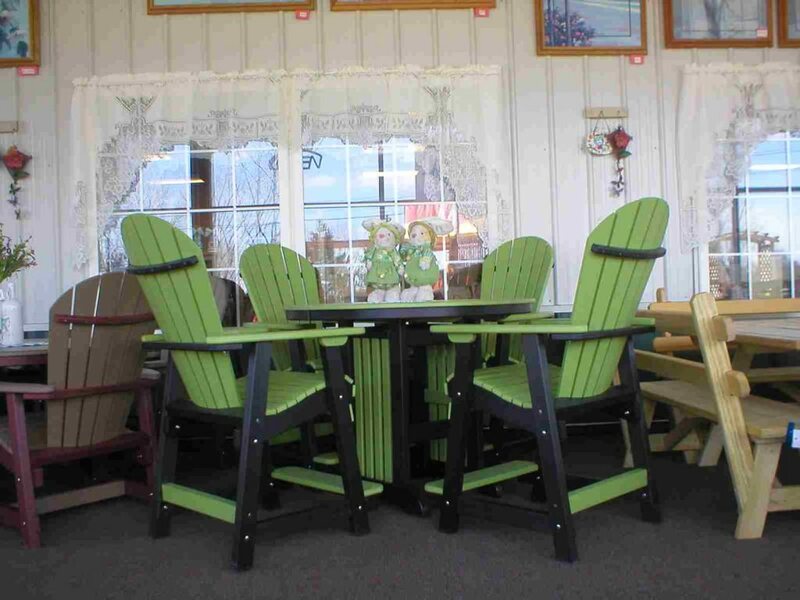 Amish made poly pub table and pub chairs. 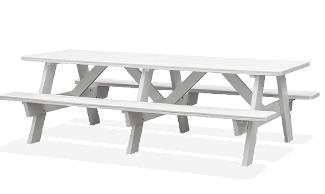 Pub table measures 44 1/4"W x 40 1/2"H. Pub chairs 29"seat height. 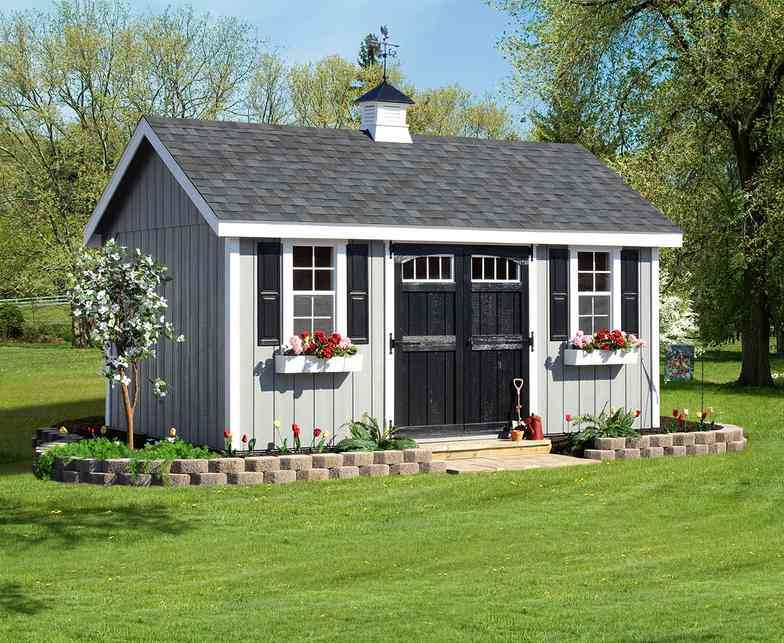 This high performing polymer will not need sealing, never rot or splinter! Available in a wide selection of colors. 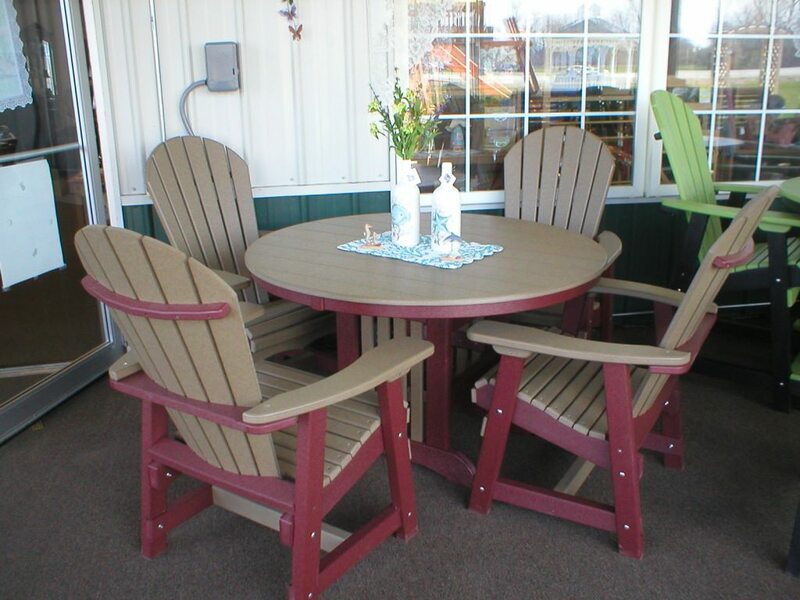 Amish made poly outdoor dining balcony table and balcony chairs. 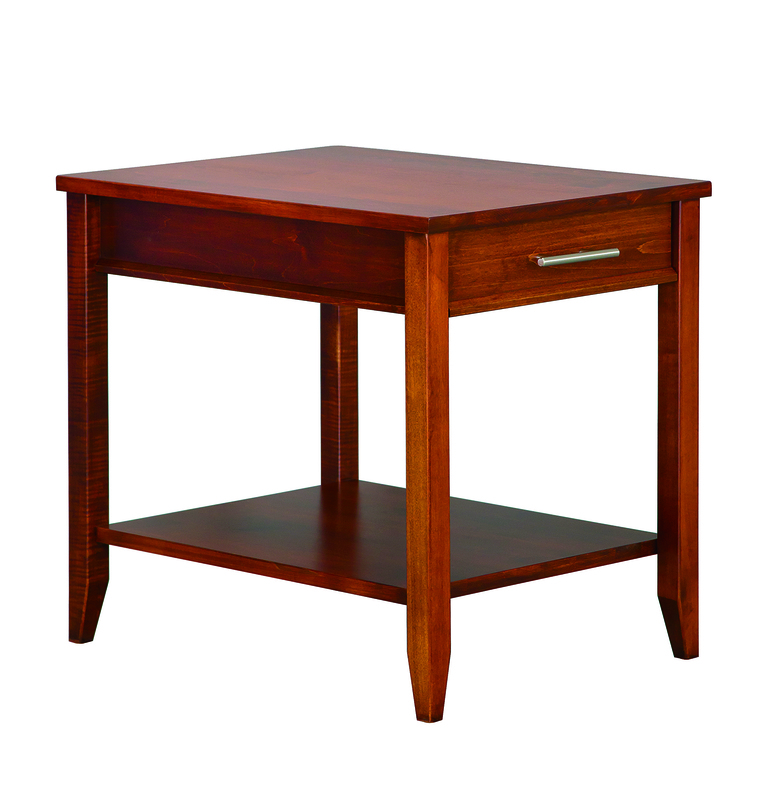 Table measures 44"x35". Chairs measure 24" seat height. Many colors to choose from or create your own style with two-tone colors. 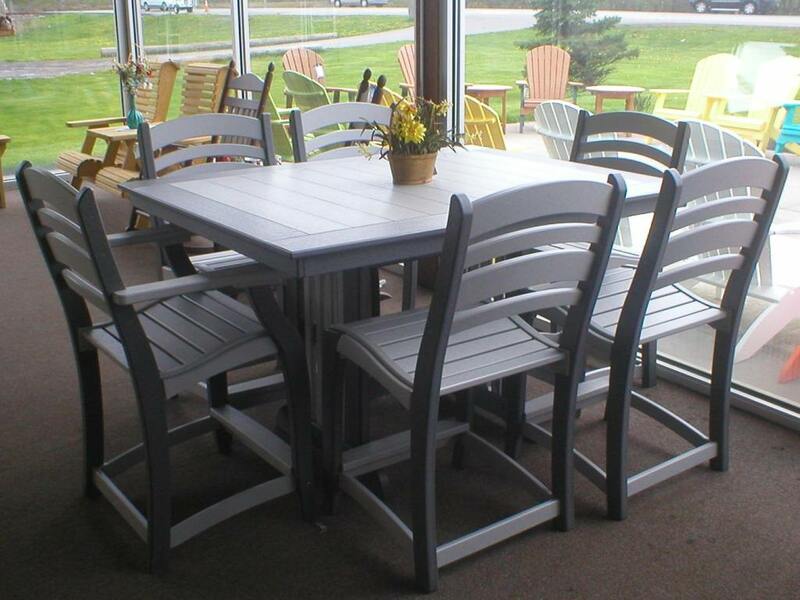 Amish hand-crafted poly dining sets. 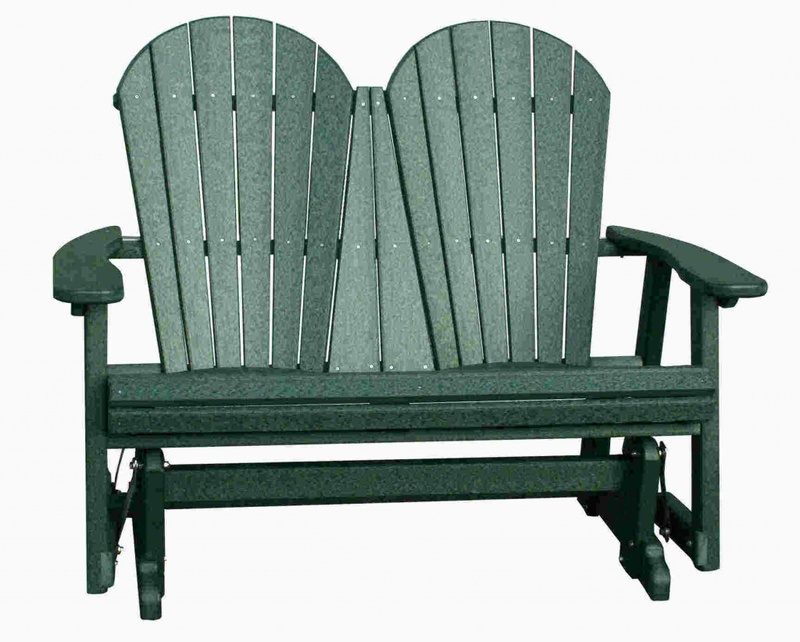 Styles available for chairs are arm, pub, balcony and deck. 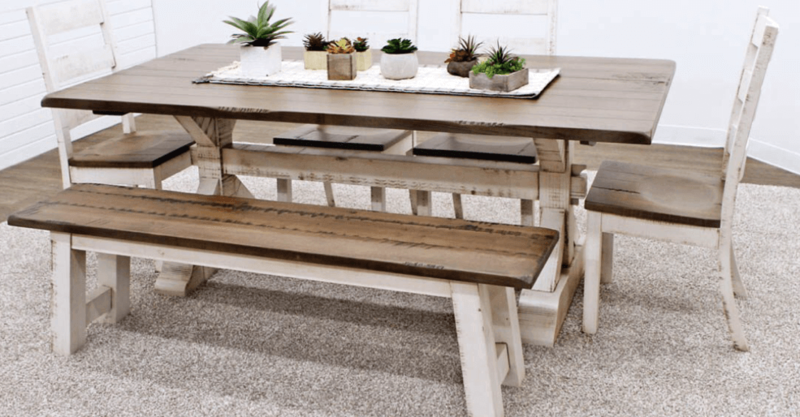 Table styles are patio, balcony and pub. 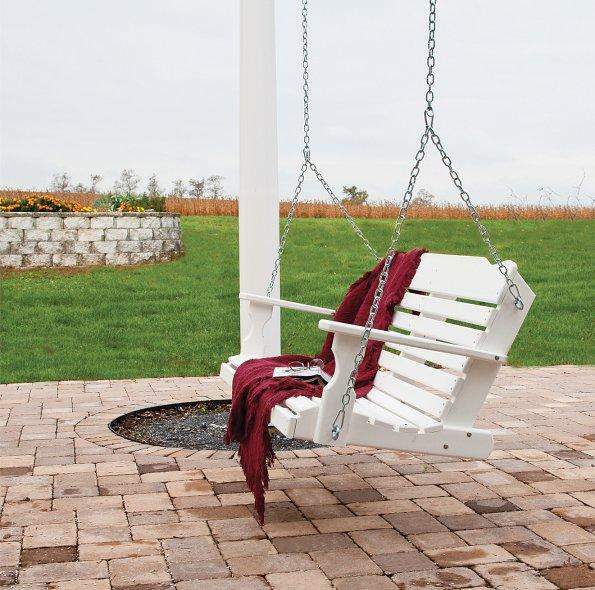 Amish made poly swing. 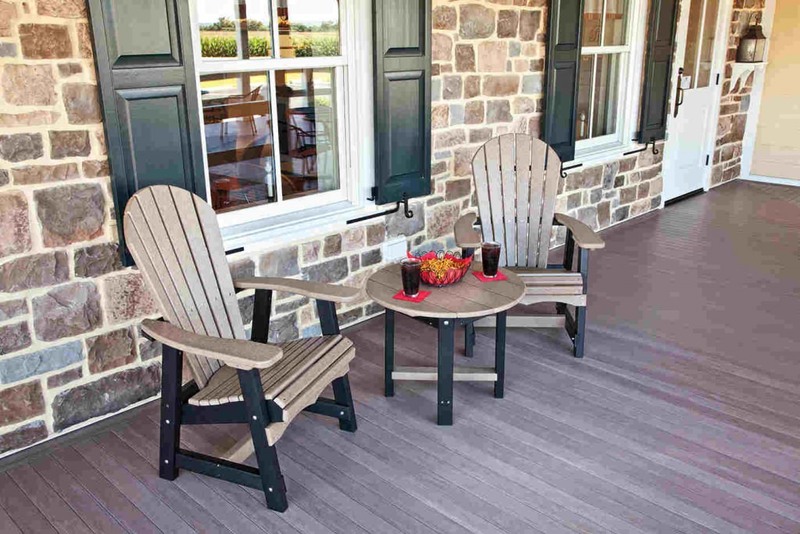 Maintenance-free poly furniture perfect for an outdoor porch area. 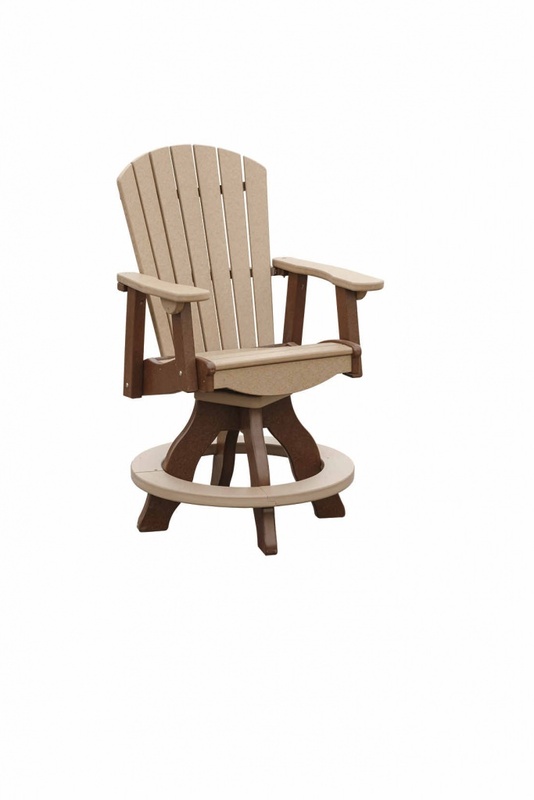 Enjoy your favorite outdoor living space with an Amish made poly Adirondack chair and footrest. 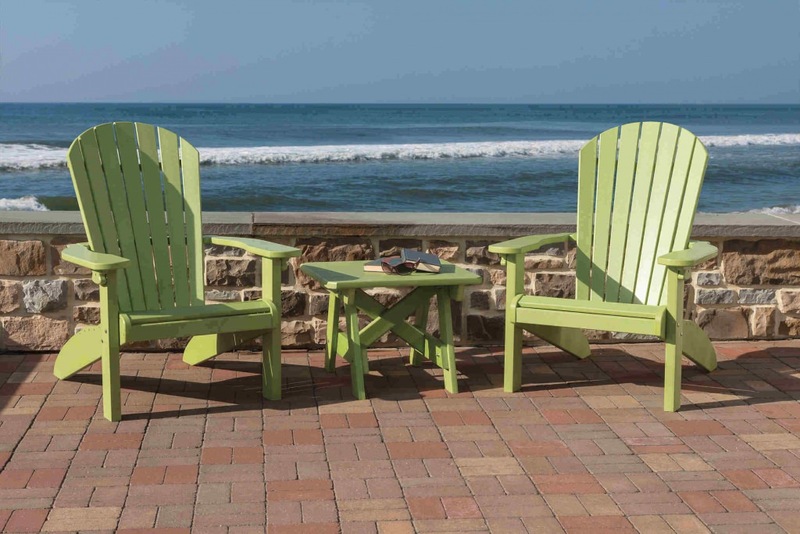 Order your chair in a bright summer color. 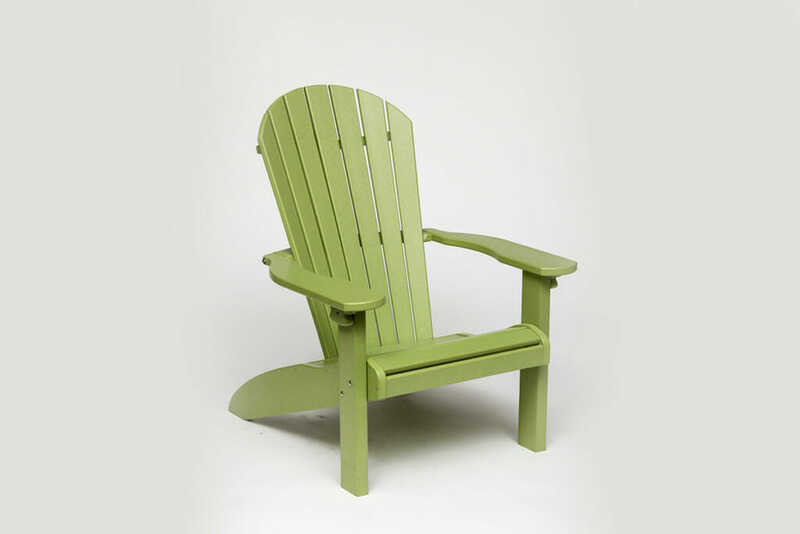 Relax for the summer in a colorful fan back poly Adirondack chair. 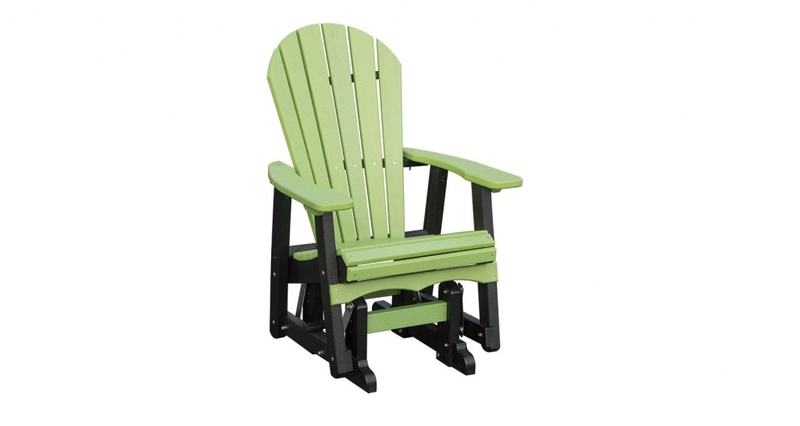 Order a colorful Adirondack chair today to complete your outdoor living space. Check store for details. 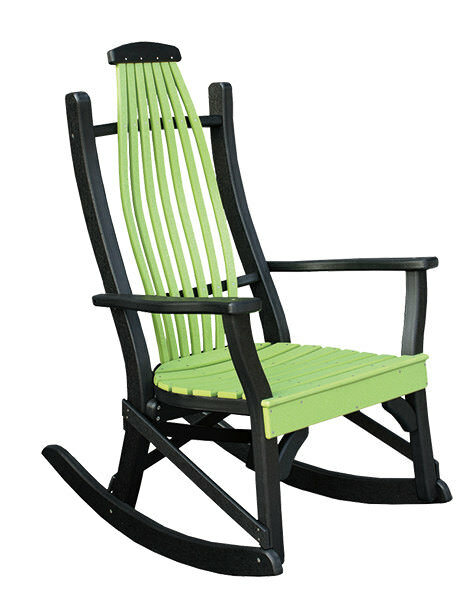 From our chair collection, try a bent poly rocker. 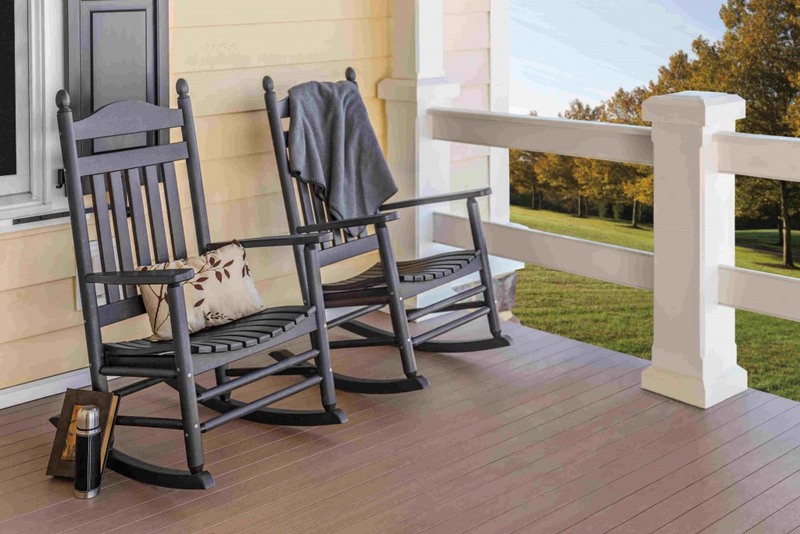 An elegant look for your front porch. Order yours in two tone or solid bright color! 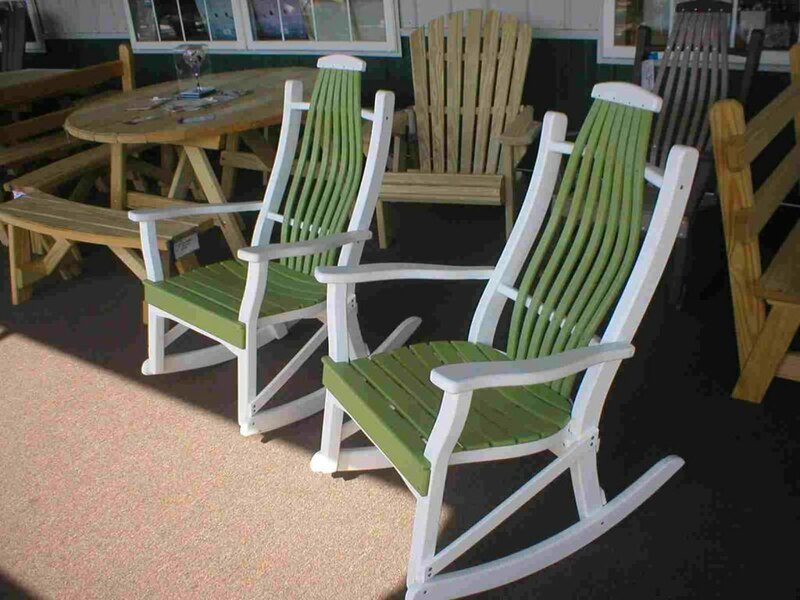 Amish made bent poly rockers come in a wide selection of colors. 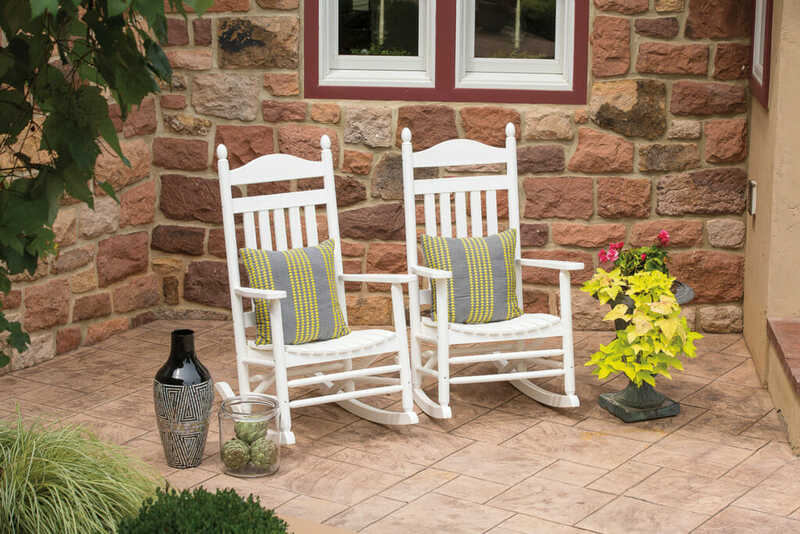 Be comfortable this summer while rocking in a poly rocker on your front porch. 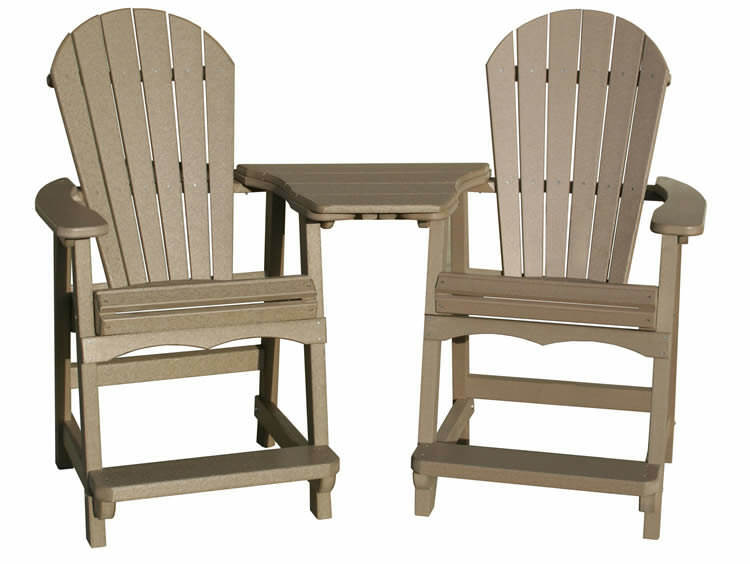 Amish hand-crafted Adirondack poly folding chairs. 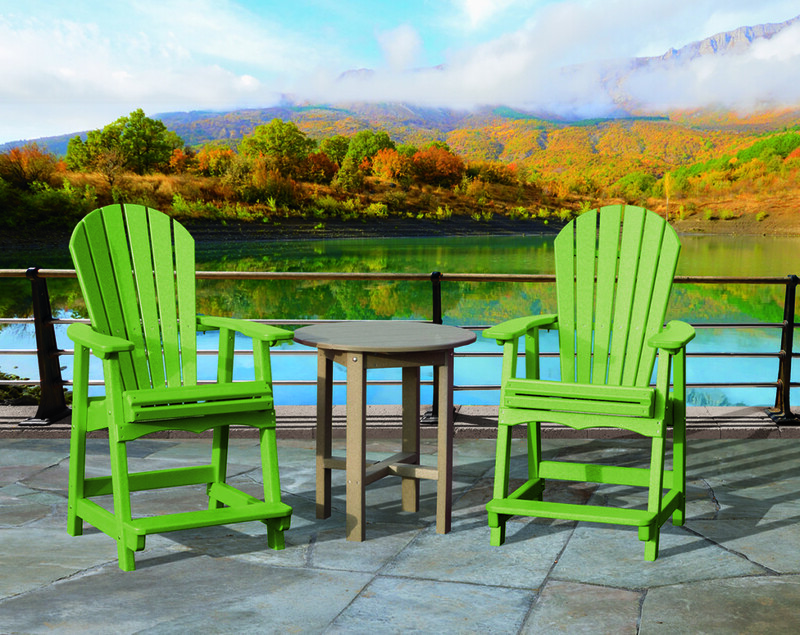 These folding fan back chairs come in many bright spring colors. 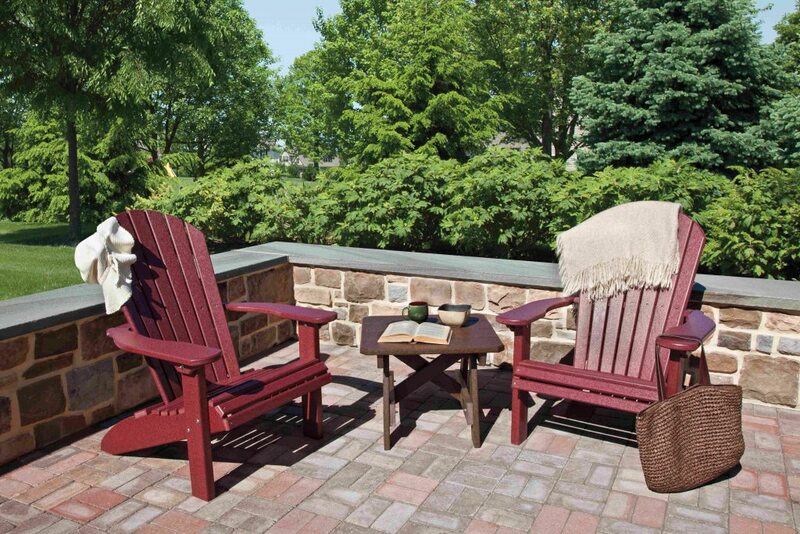 Glide with ease in our Adirondack double glider. 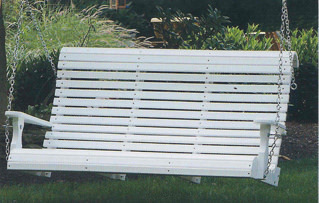 This style also available in a double swing. 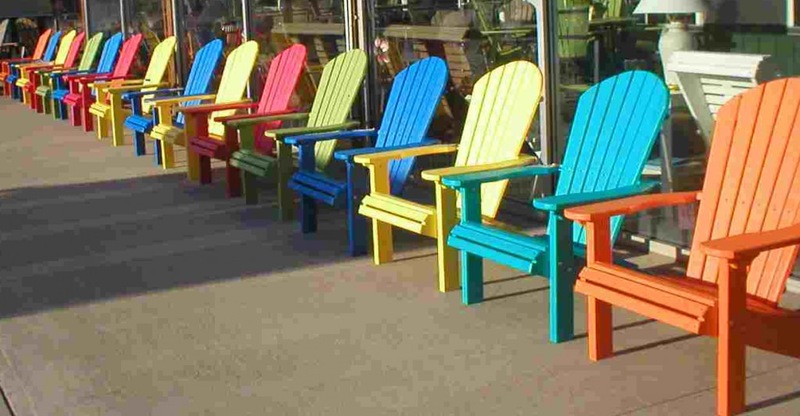 Our Amish made folding Adirondack chairs can be ordered in a wide section of colors. Balcony chairs with a table in the middle that slides out for easy cleaning.